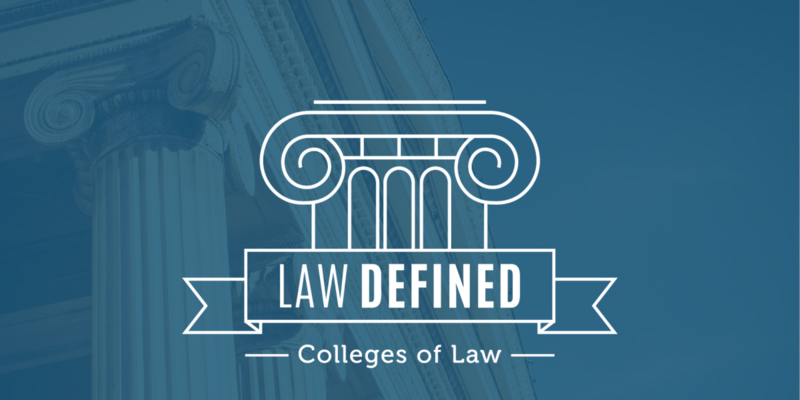 Learn more about the different specialty fields of law that may help focus your career. A law degree can open many doors and offer a variety of incredible career opportunities. However, it can become overwhelming when deciding a specific legal path to follow. While it is not required to specialize in any particular field of law, it is still helpful to know the various options available if you are seeking to narrow the focus of your legal career. Below, we explain five different fields of law that you may want to consider entering after earning your law degree. Civil rights law guarantees the right for individuals to receive equal treatment and prohibits discrimination. Civil liberties concern the basic rights and freedoms guaranteed in the federal and state constitutions. Lawyers working to protect individual civil rights and civil liberties have the ability to ensure that all individuals are treated equally under the law. Additionally, many lawyers interested in civil rights law can work for nonprofit organizations focused on addressing civil rights issues in society. Some of these organizations include the ACLU, the Southern Poverty Law Center, the Human Rights Campaign, and other nonprofit organizations. However, major private corporations–such as The New York Times–also utilize lawyers specializing in this field of law when they are confronting a variety of issues. This field of law is probably the most well-known because of its prevalence in television shows and movies. Within the field of criminal law, lawyers primarily play two roles: a prosecutor, representing “the people,” or a public/private defense attorney, representing an individual with criminal charges. Prosecutors work for the government at both the state and federal level. Defense attorneys may work in a private firm or for the government. In Miranda v. Arizona, the Supreme Court of the United States interpreted the Fifth Amendment of the Constitution to guarantee the right to an attorney for any individual who cannot afford one. That’s why the Miranda warning contains the phrase “You have the right to an attorney. If you cannot afford an attorney, one will be provided for you.” So, the government has Public Defender Offices at both the state and federal level. Both prosecutors and defense attorneys play important roles in our justice system. Prosecutors represent the interest of the public and ensure the enforcement of the rule of law. Defense attorneys, in addition to representing the individual, also ensure that the police and prosecutor are acting constitutionally. For example, they may assure that law enforcement didn’t violate an individual’s Fourth Amendment right against unreasonable search and seizure during a search. For example, lawyers in this field of law may be involved in a case deciding whether or not a developer or agricultural business may have access to certain land or natural resources. While we often think of environmental lawyers as those who are actively working to protect the environment, there are also many lawyers within this field of law who are employed by businesses and corporations to ensure companies remain compliant with local and state policies and laws. In this instance, these lawyers may have to defend their organizations should they be found in violation of these policies. Lawyers in this field of law may specialize in a particular area or can serve all issues that may arise for a family. This field of law is particularly relevant in the state of California, due in part to the large international community. Many people tend to think of this field of law in terms of people seeking asylum in the U.S. or people entering the U.S. legally or illegally, and the subsequent deportation proceedings. However, on the other end of the spectrum, there are law firms dedicated to helping corporations bring in skilled immigrant workers legally. Lawyers who specialize in this field of law assist companies in navigating the visa system for these workers. This field of law can also become combined with civil rights law, specifically when questions are raised regarding due process in legal proceedings for legal and undocumented immigrants, and whether or not the legal system is honoring constitutional rights. Are you interested in learning more about the different fields of law or pursuing a legal degree? Fill out the form below to request more information about the programs available at The Santa Barbara & Ventura Colleges of Law.